I think of Eric Reis’ book, The Lean Startup, as an innovation handbook. Eric, a software engineer turned successful entrepreneur, sets out to dispel myths around innovation and entrepreneurship. He unpacks what it actually takes to innovate in the real world. Thanks for the post, a interesting topic indeed. The Lean Nonprofit sector to me takes out the writing and grant part and adds a ‘valuate’ section. This ‘valuate’ section is the process of crowdsourced funding and market validation. Many people can imagine what a service/non profit will offer with a basic outline and structure presented online. Of course, to really know if it will work, the nonprofit needs to complete the cycle as mentioned above. Take a look at watsi.org, I think you will be interested. I believe this is a very important part, especially for me as a college student. I have great opportunities to meet and speak with some very influential people in both the for-profit and non-profit sector. When I used to meet people that were in charge of a $6 Billion company, I would freeze and wouldn’t be able to learn anything from them because I was so intimidated. Now when I meet these people, instead of looking at them like that I look at them as a person I can learn something from. Whether they be a 50 year old lawyer in charge of the legal department of that $6 billion dollar company, or the five year old I meet down the street at the school that I volunteer at, this is how I have opened my mind, learned much more and found my true passions! Thanks for the great read! 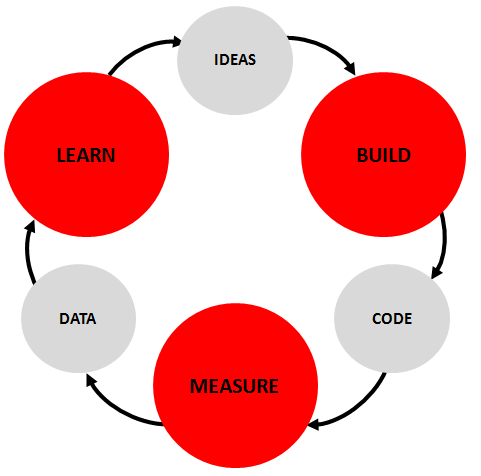 The Lean Startup provides an excellent framework to reconceptualize what a start up is and how it should function. The whole time I was reading it I was thinking how the nonprofit industry and social enterprise space should adapt the lean principles. However, I have to disagree with your reworking of the lean cycle. Besides slight language changes (i.e. coding to implement or something), the cycle does not change at all. I think the fundamental flaw in your cycle is you infused money into it. Of course nonprofits are strapped for cash, so are start ups. The point of building lean is you focus on developing a product or service the market needs/wants and when you do that it can be monetized/funded. 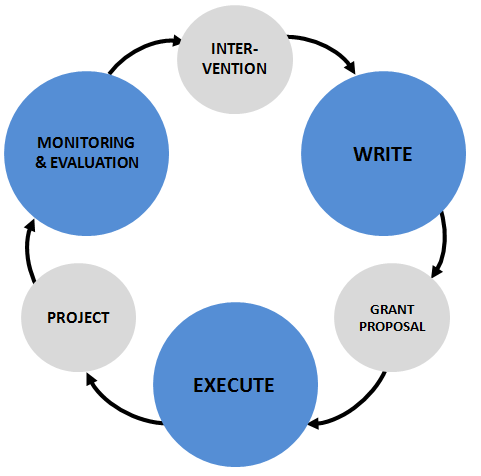 Conversely, if funders adopt and advocate lean principles, nonprofits might be able to secure small seed funding to develop a minimum pilot program (MPP) without the pressure of delivering outputs and outcomes, rather focus on learning points and developing an MPP. building on the comment above, it seems to me that you have a hydra sort of problem here. You have separated the consumer of services from the payer for services (sort of like the 3-headed medical model in the US of consumer/provider/payer)… now you need to run a lean canvas -based build measure learn cycle against each side, simultaneously, being careful at each step that changes to one side do not invalidate what you are doing on the other. so yo’ve more than doubled the complexity of the challenge (squared maybe?) while retaining all of your other startup characteristics. Malcolm, I agree it feels like a square of the problem in terms of complexity! I’ve worked for the World Bank and for the Inter-American Development Bank (Multilateral Development Non-Profit Organizations, and essentially, the process you described is how it’s supposed (I’ll expand on this) to work right now. An investment project or technical cooperation (grant) proposal is written. The project or technical cooperation is executed and it’s actually a mandatory requirement for the team leader to prepare a “Project Completion Report” and “Impact Evaluation” report. Both of them must contain lessons learned and must document what went well and why, and also, what went wrong and why. These reports are then published in the Intranet and Internet. In theory, this is how these organizations have designed their processes. However, in practice, is not functioning correctly. First, the incentives are wrong. Team leaders are afraid of documenting failure. In theory, they are encouraged to do so. But in practice, failure is frowned upon. Second, the weakest link is the last one: team leaders write a new proposal without taking into account lessons learned from previous interventions! Why? I believe there are several reasons for this: (i) lessons learned are not easily accessible (IMHO) even for internal employees (could be easily resolved); (ii) the definition for innovation is wrong, team leaders don’t want to incorporate lessons learned from other team leaders as this would not be considered innovative and can be considered ripping off their work (issue with internal culture and again, wrong incentives); (iii) checks & balances to make sure new intervention proposals have taken into account lessons learned from previous experiences are not working (it is mandatory to write a section in a new proposal about lessons learned from similar past projects, however, both the team leader and reviewing committees don’t take this section seriously).